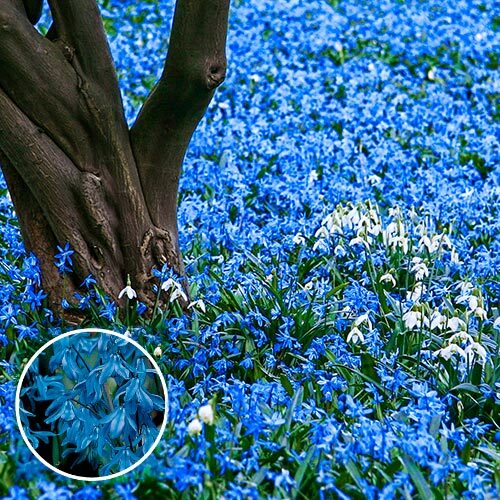 Unusual bell-shaped flowers that are extremely hardy. They naturalize easily. Also recommended for indoor forcing. 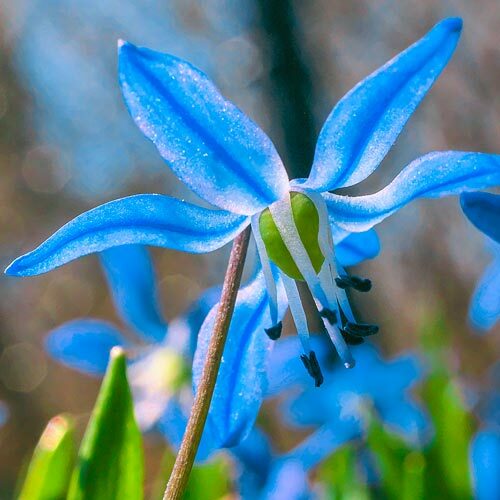 One of the most popular scilla varieties, brilliant porcelain-blue, which produces masses of early spring color. One of the most popular, 'Spring Beauty' is a brilliant porcelain blue, which produces masses of early spring color. 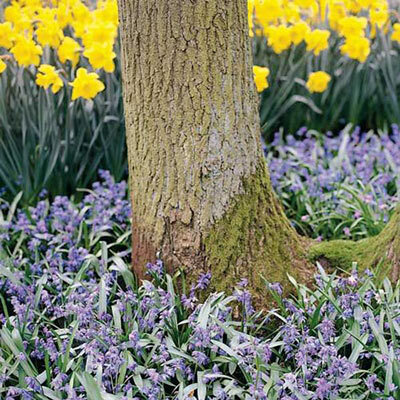 The choice for a strong color accent between your shrubs and trees. Delightful gentian-blue flowers show best when planted closely in large drifts. Very hardy and a great bulb for naturalizing; bulbs will produce more flowers each year!